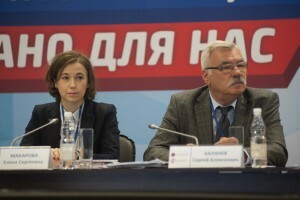 On 4 October 2016, the representatives of Estonia-Russia and Latvia-Russia Cross Border Cooperation Programmes 2014-2020 took part in the “Conference on International Research and Development Programmes and Cross Border Cooperation Programmes”, which took place in St Petersburg Center of phase-out and localization. The Conference was hosted by officials of Committee for industrial policy and innovations and Committee on external affairs, and welcomed representatives of international Cross Border Cooperation (CBC) Programmes and Baltic Sea Region (BSR) Programme, St. Petersburg Business Development Fund, a number of educational and research institutions, and other stakeholder organizations. Mr. Sergey Talnishnikh, Deputy Head of Committee for industrial policy and innovations, opened the Conference. He emphasized the role of financial instruments in strengthening of international cooperation among research and development organizations, educational institutions and business support structures. 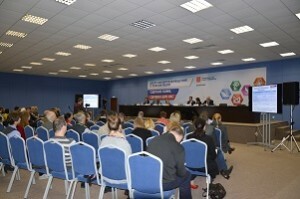 The first session of the Conference focused on presentation of the Programmes and on discussion of the role of St Petersburg in the CBC and BSR Programmes. The second session included consultations and master-classes for organizations planning to take part in the international programmes.